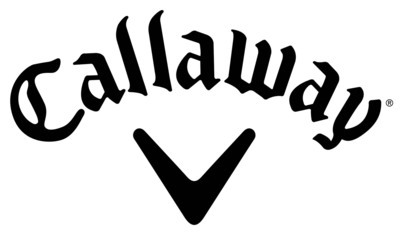 CARLSBAD, Calif., Jan. 4, 2019 /PRNewswire/ -- Today Callaway Golf Company (NYSE: ELY), an industry leader in golf equipment and innovative performance technologies, announced the Epic Flash Drivers and Epic Flash Fairway Woods, featuring the Company's revolutionary new Flash Face Technology. The new premium performance clubs will be available at golf retailers nationwide on February 1, 2019. Flash Face's sophisticated architecture was created by Artificial Intelligence and "Machine Learning," a field of computer science that uses statistical techniques to give computer systems the ability to "learn" with data without being explicitly programmed. A new driver face design typically takes eight to ten iterations. Through Machine Learning our computers cycled through 15,000 face architecture iterations, learning from each one, before arriving at Flash Face. Perhaps more importantly, this design might have never been arrived at without AI; the design defies convention. The Flash Face's unique, internal mapping consists of dozens of subtle ripples flowing from heel to toe. These ripples work together cohesively to elevate COR in the face's center region. That accomplishment results in a significant ball speed boost for a noticeable distance increase when you make solid contact, helping make your longest drives go even longer. The new Epic Flash fairway wood features our new Flash Face Technology to help golfers of every level and swing speed get more ball speed and distance. Within the clubhead, Callaway's innovative Jailbreak Technology is the engine that promotes increased ball speed. 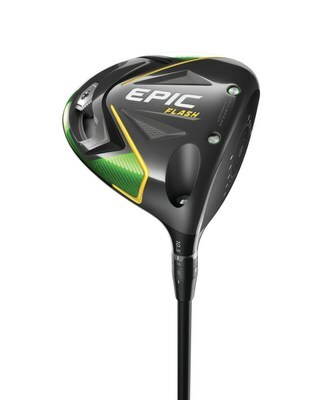 Epic Flash fairway woods also have a new, lighter OptiFit Hosel to make it simple for players to dial in easy launch and optimal flight. Callaway designed an entirely new hosel system that's shorter and lighter; the saved weight is used to reposition the CG for easy launch and high, long-carrying flight.